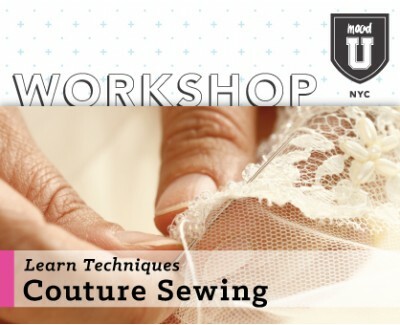 This unique workshop provides an overview of dressmaking and tailoring methods that go beyond standard sewing and enters the coveted world of couture. You will be introduced to essential techniques and their proper application for construction and finish of your garments for the perfect result that defines couture sewing, giving a high-end, professional look. *Please note, equipment listed is for use in-store only and is not for participants to keep. All items are to be handed back at the end of the workshop, excluding the samples you create in the class. You may bring your own supplies also, excluding bringing your own sewing machine.